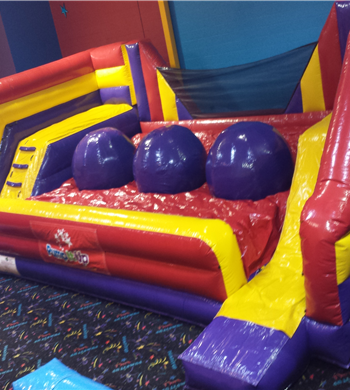 Jump, bounce, and slide your way across our newest inflatable! Accept the Canyon Crossing challenge and let the fun begin! On your Mark! Get Set! GO!!! 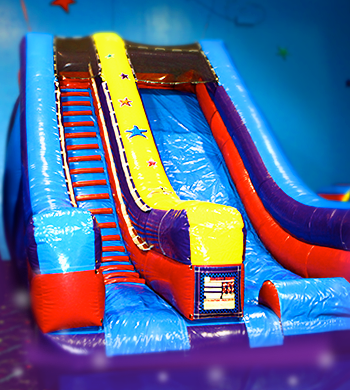 Race your friends on our Chaos Obstacle course! 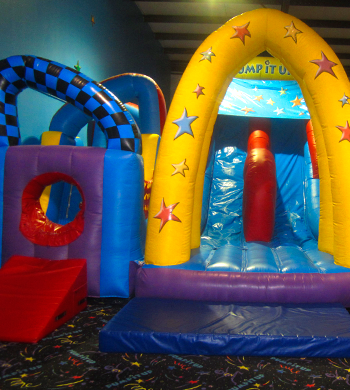 Climb through the entrance, through the pop-up obstacles, up the ladder, and down the slide!!! Your heart will be pounding for sure after this thrilling obstacle course! Take a dive down our action-packed slide!!! 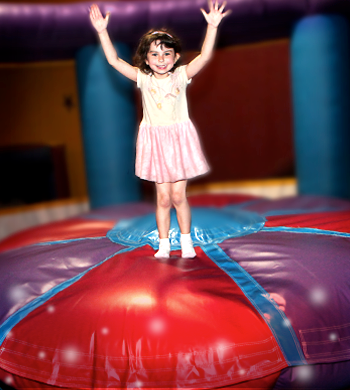 Our hair-raising slide will have your climbing back up for more! One particpant at a time, on their bottoms, feet-first. Socks are required. Each participant must use a mat to go down the slide. Jump! Jump! Jump! 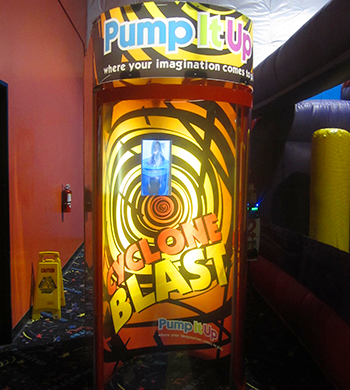 This fun ride is for all thrill seekers to jump and play! Let the fun begin!